Dr Isaac Richmond is a Memphis-based activist, radio personality, author and founder of the organization CORR (Commission on Religion and Racism). 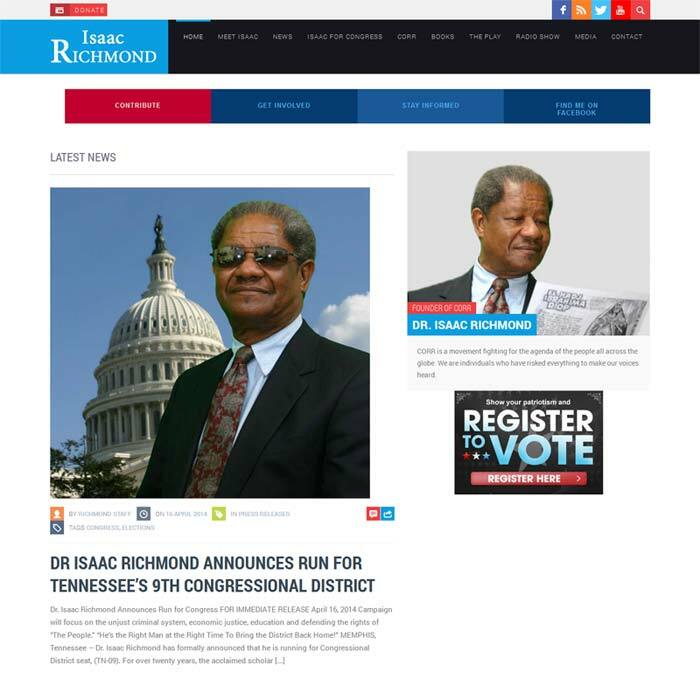 Dr Isaac Richmond wanted a site to help support his multiple projects including his run for Tennessee Congressional District 9, radio show “Moment of Truth” and his organization, CORR. The website embraces clean elements and places the focus on the important aspects of the CORR movement. Visitors are able to check out events, make donations, contact Dr Richmond, leave testimonials and more.